The new year’s here and that means many more people using the gym! Managers of fitness facilities know to expect record crowds at the beginning of the year. With so many new and returning customers looking to fulfill their resolutions, make sure your gym is the place everyone wants to keep coming back to. One of quickest ways to ruin a first impression is having a bad locker room smell. Luckily, it’s not too hard to fix. In this article, we’ll provide some basic tips for locker room odor control, as well as additional strategies for keeping the air fresh and clean. But first, let’s talk about why an unpleasant locker room smell is more than just a nuisance; it can also be bad for health. That’s the last thing you want in an environment where people are trying to improve their health! When your gym locker room smells bad, it’s a sign of poor indoor air quality. If odors are hanging around in the air, it’s likely that bacteria and pollutants are hanging around, too. Odors are carried by humidity, and moisture in the air makes perfect conditions for mold and bacteria to grow. Gyms are already easy places for germs to spread, with so many people coming into contact with equipment, and sharing your locker rooms. Improving air quality with locker room odor control can help make your location a healthier place to be. Have a locker room smell that isn’t caused by the people using it? Other causes of odors can be hazardous as well. One study found gyms to have high levels of indoor air pollutants, such as dust, formaldehyde, carbon dioxide, and VOCs. If you detect a chemical smell, it could be VOCs coming from the paint, carpets, and other building materials, especially if you’re in an older building with an outdated HVAC system. Breathing in these substances over time can lead to health conditions such as infections, breathing difficulties, rashes and eye, nose, and throat irritations. One of the main things people look for in a gym is a pleasant environment in which to exercise. You don’t want to turn customers away just because of a bad locker room smell, or poor indoor air quality. That’s why it makes good business sense for gyms to focus on ventilation and air quality. People go to fitness centers to improve and maintain their health, and they want to be breathing healthy air while they do it. You probably already know that locker room odor eliminator products won’t do the trick. They cover up odors, or sometime absorb them, but don’t help you remove the source of the problem. Here’s how to get rid of your locker room smell problem once and for all. The key to locker room odor control is keeping humidity low. Moisture in the air can cause smells and make odors linger, so keep an eye on the humidity levels in your gym, and especially your locker room. Locker rooms are often the most humid rooms in a fitness center, due to sweaty athletes and showers. Steam rooms and pools are also high-humidity areas. The International Building Code requires moist air to be vented out of the building instead of recirculated. That means you need a properly designed ventilation system to keep your locker rooms up to code, healthy, and odor-free. Fitness centers are also at higher risk for other air quality issues, such as increased CO2 levels. Exercising causes many changes to the body, including elevated heart rate and faster breathing. People who breathe faster produce more CO2. Not only is it unhealthy to breathe too much CO2, it can make people feel tired and foggy… not ideal when you’re trying to exercise! This is particularly a problem in weight rooms, dance studios, and any enclosed room where classes take place. That’s why it’s so important to make sure your gym ventilation is up to par. If you have an older system (or you have renovated your space without updating your HVAC), get it checked out and make sure it’s up to the job. There are additional features you can get to make your ventilation system more effective. This includes special parts such as HEPA filters, which trap bacteria, mold, and other small particles. 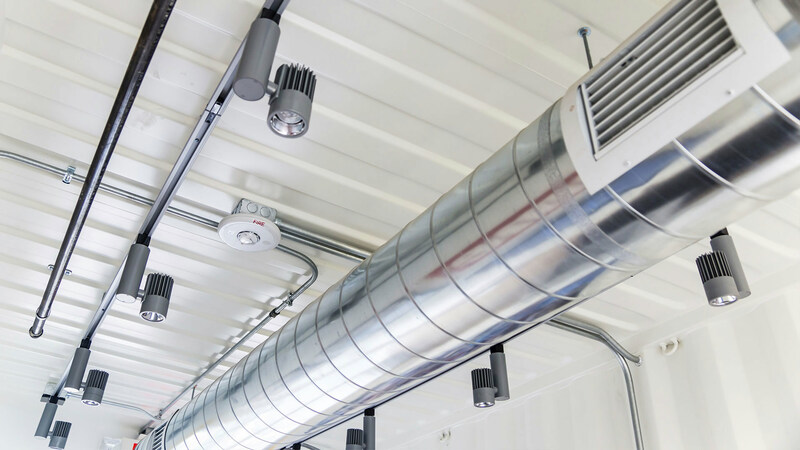 Your HVAC ducts move air around your gym and through your HVAC system. Over time, they can get clogged with dust and also accumulate moisture. 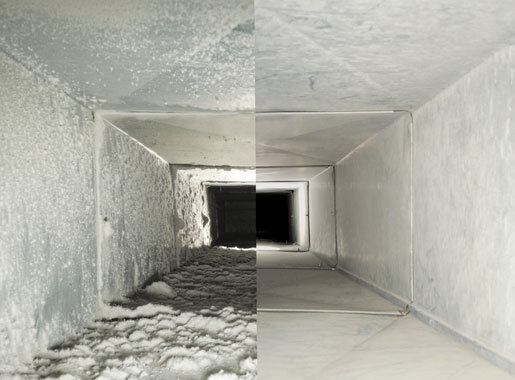 When air travels through dirty ducts, it can pick up musty smells (not to mention mold spores) and carry them throughout your building. If your gym is plagued by nasty odors, it’s smart to have your ducts inspected and have them professionally cleaned if needed.